With over 30 years of experience, Dr. Irene Lipetsker is a highly acclaimed general and cosmetic dentist in Brookline, MA. Dr. Lipetsker specializes in helping adults achieve the smile of their dreams. A certified Invisalign, 6 Months Smile, and Dental Implant practitioner, Dr. Lipetsker approaches each patient with care, compassion, and an extraordinary standard of care. Dr. Lipetsker started practicing dentistry in 1983, after graduating with a dual degree in General Dentistry and Orthodontics from the State University for Medical Practitioners, in St. Petersburg Russia. In 1992 she graduated as a Doctor of Dental Medicine from the Boston University Dental School in Boston, MA. She then attended advanced training in orthodontics, adult cosmetic dentistry, neuromuscular dentistry and dental implants. Dr. Lipetsker has been practicing in Brookline, MA for over 20 years. When out of the office, Dr. Lipetsker rides horses, scuba dives and makes period costumes. “Just recently I had a few finishing touches put on my smile. During that visit Dr. Lipetsker pulled out the original photo of my so called smile. I cried. ” – Alla V. Stepanets, Pharm. D., R.Ph. 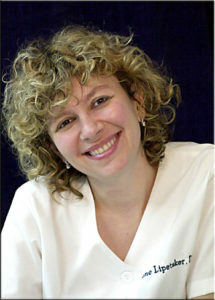 Dr. Irene Lipetsker is a dentist in Brookline, MA. She practices at Brookline Dental Studio, 1247A Beacon St, Brookline, MA, 02446. Tel. (617) 566-5400.